Installation of additional Intelligent Transportation System (ITS) hardware, including cameras and electronic message boards. During peak hours, vehicles will be able to drive on the upgraded shoulders. On December 12, 2013, MDOT hosted public meeting at Northfield Township Hall. View the presentation and video from the meeting at this link. 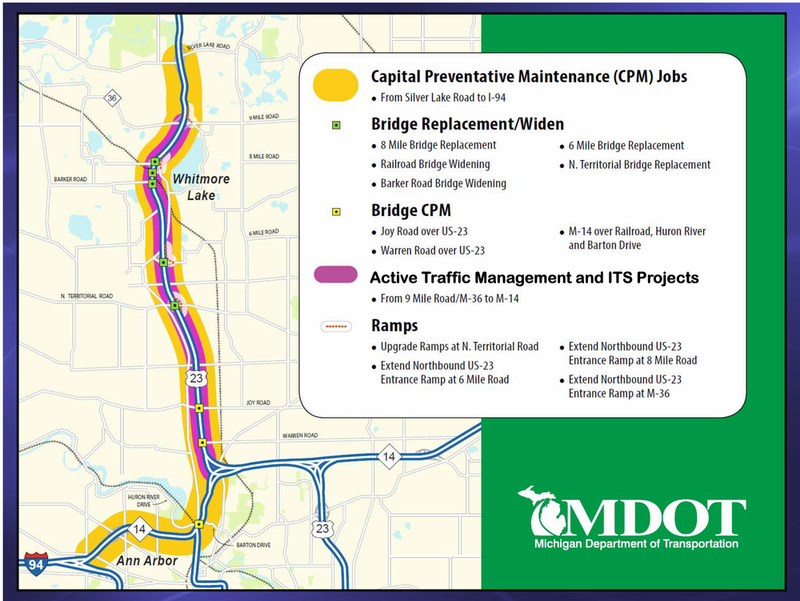 You can also learn about the project at MDOT's project page, or in recent coverage by MLive's Ann Arbor News.